Uzbekistan established diplomatic relations with the United States in 1992 (opening embassies in Tashkent and Washington a year later). In the same year, an American Newmont Mining company, the Navoi Mining and Metallurgical Plant and the State Committee for Geology and Mineral Resources of Uzbekistan created the first Zarafshan-Newmont joint venture. In 1996, Karimov made his first visit across the Atlantic, where he met with Bill Clinton. In the future, Karimov repeatedly visited the US, until the mid-2000s which can be considered the time of closest rapprochement between the two countries. Having withdrawn from activities in interstate structures controlled by the Kremlin (Commonwealth of Independent States, Collective Security Treaty Organisation) and joined the NATO military operation in Afghanistan, Uzbekistan guaranteed itself not only an influx of Western investment but also partially secured itself from criticism for numerous human rights violations. By the end of 2003, there were 316 enterprises in Uzbekistan created with the participation of American investors, including 227 joint ventures and 89 with 100% foreign capital, which operated in mining, chemical, food, machine-building and light industry. Many humanitarian programmes were working, Uzbek students regularly studied in the US. Within the framework of Operation Enduring Freedom, military transport planes and helicopters of the US Air Force and Germany deployed in Uzbekistan stationing at air bases in Karshi and Termez respectively. Andizhan-2005 put an end to this idyll. Karimov found himself persona non grata in many countries of the West, the representation of Western firms in the republic declined (in part Korean and Chinese companies replaced them), the flow of investments ran low, financial assistance was almost completely curtailed (only in 1992-2000 the US rendered $ 443.3 million as an aid to Uzbekistan), the republic blocked activities of human rights NGOs and stopped the work of independent media. The country could, in fact, find itself in international isolation, if not for "faithful friends" - Russia and China, as well as the Shanghai Cooperation Organisation. In early 2010, there was a kind of thaw in the Washington-Tashkent affairs, slightly overshadowed by scandals around Gulnara Karimova, but until the death of Islam Karimov, the Kremlin had a much greater weight in Uzbekistan's foreign policy than the White House. And the presence of millions of Uzbek migrant workers who worked in Russia and pumped up the republic's budget with money transfers primarily ensured this influence. It seemed that everyone was happy with this situation. However, by the look of things, Mirziyoyev intends to breathe new life into the notorious "Karimov's multi-vector" and develop relations with the United States primarily based on Tashkent's interests, and not always looking back at the Kremlin politicians. 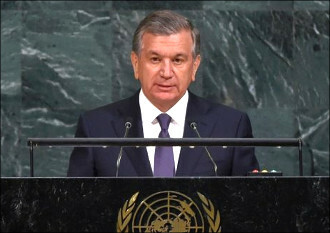 Although regional cooperation remains the priority of the Uzbek leader, Mirziyoyev said about it from the UN platform (we note that IMF chief Christine Lagarde liked Tashkent's new monetary policy and regional aspirations which in the future may promise financial support from this organisation), this is unlikely to prevent Uzbekistan from simultaneously seeking a common language with the West. Moreover, the interest of the US and Europe in allies in Central Asia due to the complex - by tradition - the situation in Afghanistan shortly will only grow. As part of the visit of the Uzbek delegation to the United States, representatives of the republic and the management of Webster University (Missouri), in particular, signed an agreement to open a branch of this educational institution in the city of Tashkent. Thus, the first full-fledged branch of the American university in the CIS will appear in the capital of Uzbekistan. The university has other branches in London, Geneva, Vienna, Shanghai, in 140 countries in sum, training more than 22 thousand people. Training delivers courses of sociology, business, management, IT, literally, the directions, specialists in which Uzbekistan has a very high demand today. Shavkat Mirziyoyev personally communicated with each member of the Uzbek diaspora in the United States, invited to a meeting with him. He stressed: "My primary purpose the visit here is you. Come on, come home." In response, a lawyer and blogger living in the US said: "My relatives in Kokand say that they have gas [heating] turned off every winter. Therefore, both children and old people live in terrible conditions." Mirziyoyev interrupted him and replied: "Yes, indeed, it is. My wife is from Kokand, and I was always ashamed that there is such a situation. I promise that next year we will provide Kokand with gas." None of the Uzbek media quoted this dialogue. In fact: readers would be weird to hear such assurances from the president, who did not fall from the sky but was prime minister for thirteen years. Why, for all this time, he did not adjust the supply of gas to his wife's hometown?.. While Mirziyoyev spoke at the UN and met with "selected" compatriots, the delegation of the Ministry for the Development of Information Technologies and Communications, which he sent to California, visited the Silicon Valley. It is worth noting that among other exciting moments of this trip there was a meeting of Uzbek officials with the representatives of Amazon Web Services during which the parties discussed the possibility of building data centres using solar panels on the territory of the republic, as well as providing local users with web services through the company's platforms. Also, the delegation signed an agreement on intentions and further cooperation with Cisco, reached a memorandum of cooperation with Microsoft, and Mirziyoyev registered his official page on Facebook with Mark Zuckerberg's company expressing readiness to participate in IT-events held in Uzbekistan. Uztrade, representing the Ministry of Foreign Trade of Uzbekistan, opened a trading house in New York. Of course, this is not an event, but, as the Uzbek-American business forum showed on 20 September, the participants signed agreements worth $ 2.6 bln. Among them are joint projects planned in the oil and gas and petrochemical spheres with the General Electric and Honeywell corporations, in the machine building industry - with CNH Industrial, John Deere and Caterpillar, in the electrical engineering with OSI Systems and Lutron, in civil aviation with Boeing. Regarding aviation. According to the Uzbek service of BBC, Mirziyoyev flew to New York on the plane of Russian oligarch Alisher Usmanov, who is often called the conductor of Kremlin interests in Uzbekistan. But the oligarch is the oligarch who flies wherever he wants and picks whom he wants, moreover, having "Burkhan" at his disposal - the Airbus A340-300. Earlier, there were reports about the billionaire decided to help his ancestors' homeland in the humanitarian field, which he recently focused on. 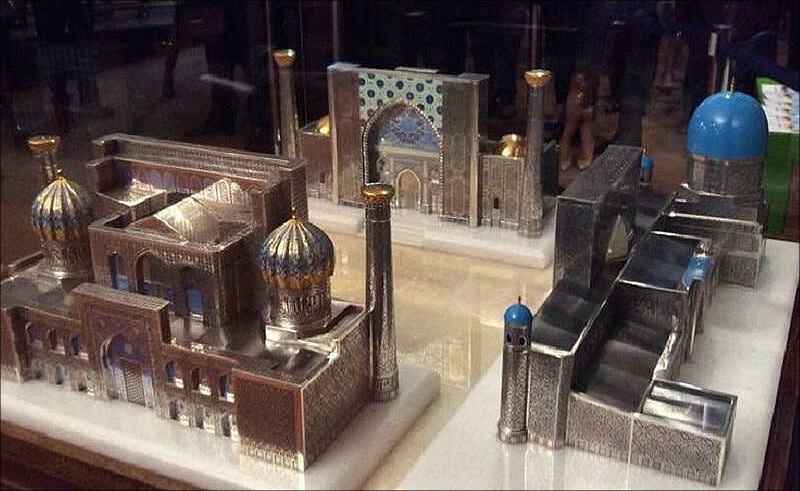 In particular, the oligarch allegedly intends to finance the construction of a large tourist complex in Bukhara and the erection of a centre of Islamic culture in Tashkent. Hopefully, the transport service provided to Mirziyoev was a humanitarian action without any ulterior motive of Usmanov prompted by the Kremlin. In the end, the oligarch made his first capital in Uzbekistan, so maybe there is nothing reprehensible in a desire to return her debts.